We believe that your hotel is far more than a place to hang your hat; it’s an intimate way to experience the personality of your destination and a welcoming haven where you can relax and be pampered after a day well spent biking or walking your way through your destination. Travelers on our active vacations in New Zealand will get to explore some spectacular, off the beaten path places on the South Island and we’ve chosen a few wilderness lodges that reflect the country’s diverse ecosystems. To give you some more insight into the properties, we want to tell you a little more about our favorite accommodations on both our New Zealand: The South Island biking tour and Walking New Zealand: Splendor of the South Island tour. 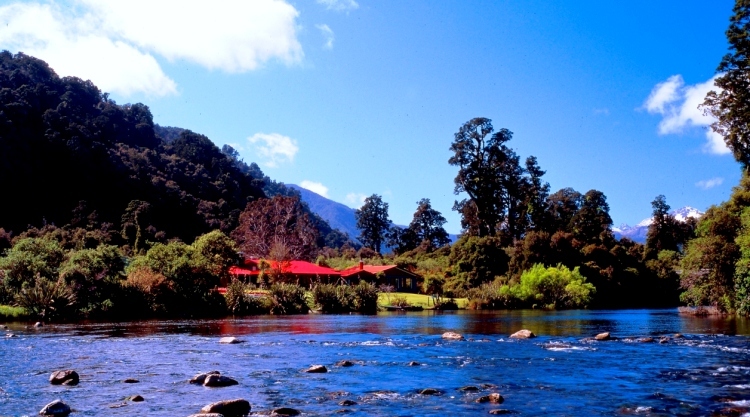 A paradise for nature lovers, this luxurious, 22-room wilderness lodge is set on the banks of a river where the rainforest meets the Tasman Sea—the perfect place to explore the wonders of New Zealand’s great outdoors. 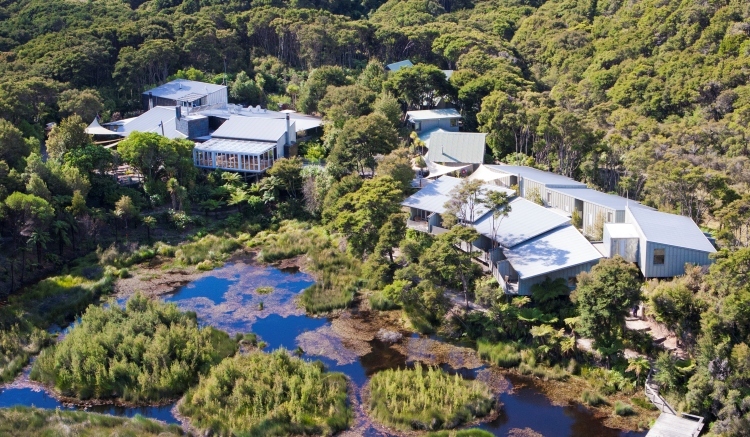 Owned by ecologist Dr. Gerry McSweeney and his wife Anne, the proprietors will lead some guided tours of the lodge and surroundings and provide expert insight into the local ecosystem and the flora and fauna it supports. During some free time, you’ll have plenty of fun activities to choose from like kayaking, canoeing, hiking and birdwatching. Travelers who visit in December will even be able to observe the rare Tawaki penguins in the wild. At the end of the day, you’ll enjoy fine wine and gourmet wilderness delicacies before retiring to your room with a private bath and a rainforest or river view. The location of the Peppers Awaroa Lodge is what makes it such a unique hotel. Typically most visitors to Abel Tasman National Park only come for the day but with VBT, you’ll spend two nights inside the heart of the park at this 26-room ecolodge. Plus, you’ll get to experience things that day visitors cannot, like observing glow worms on the nearby beach or gazing up at a sky full of stars and the Southern Cross, a constellation that is not visible in the northern Hemisphere. The lodge is near the Abel Tasman Coastal Track—a 75-mile route along the South Island’s northeastern tip—and includes its own cafe, library and a restaurant serving fresh produce picked daily from the on-site organic garden. Each room is air-conditioned and comes with a private deck area and en-suite bath. VBT operates two active tours in New Zealand: New Zealand: The South Island ​ biking vacation and our Walking New Zealand: Splendor of the South Island​ vacation. If you would like to reserve a vacation or speak with one of our Tour Consultants, please call 800-245-3868. They are available Monday-Friday from 8:30am to 6:30pm EST and Saturdays from 10:00am to 3:00pm EST.